One of Australia’s most popular summer school programs returns to Sydney in January 2018. 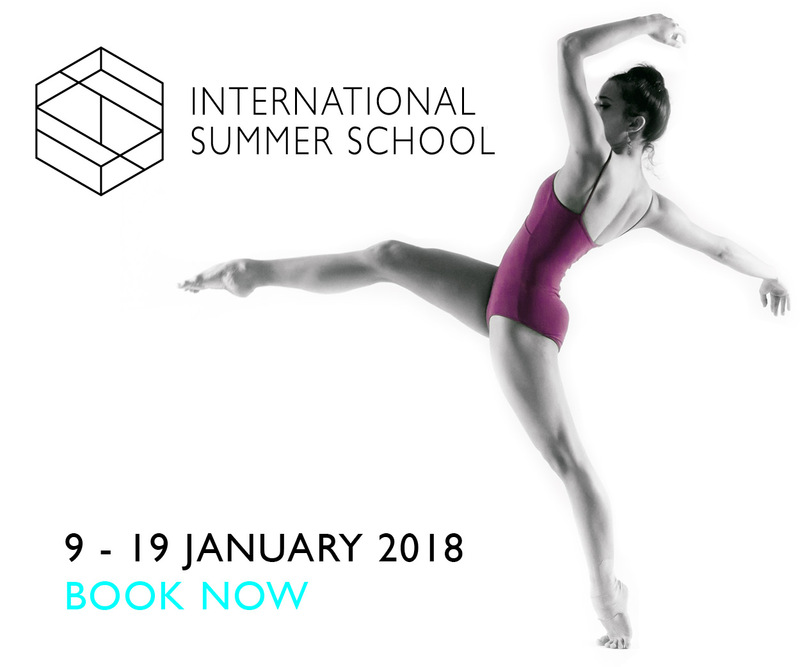 In its 12th year, International Summer School is going to be the biggest and best program yet featuring exciting & new workshops incorporating all facets of dance. The program also unveils a new inclusion of choreographic styles from the acclaimed William Forsythe and Alexander Ekman, as well as the opportunity for students to audition for the American Ballet Theatre Jacqueline Kennedy Onassis School. The teaching faculty boasts a list of renowned local and international names including Robert LaFosse (American Ballet Theatre Jacqueline Kennedy Onassis School), Laura Graham (Ballet Master & Choreographic Assistant, Semperoper Ballett Dresden), Nina Botkay (formerly with Netherlands Dans Theater), Paul Boyd (Queensland Ballet Academy), Jane Devine (formerly with The Royal Ballet, English National Ballet) and more special guests. The program will also feature English choreographer Cathy Marston as the initiative’s first ‘Choreographer in Residence’, whose recent stage credits include Dangerous Liaisons (Danish Royal Ballet), Jane Eyre (Northern Ballet, UK) and Hamlet (Ballet im Revier, Gelsenkirchen). Summer with the Royal Academy of Dance – start your dance year off on the right foot! First ever national summer workshop for boys only -- A #RADProjectBInitiative. 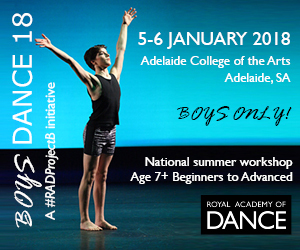 Launching the RAD Project B initiative here in Australia, Boys DANCE 18 is our first ever all male summer school. Two full days of classes including ballet, contemporary, hip hop and tap with world renowned professional dancers and teachers. Includes a special collaboration in celebration of Project B inspired by the Project B choreography. For ages 7 to adult. 5 days of incredible workshops from the leading choreographers and teachers in the industry!! Wear your school colours and unite in dance in our world class dance facilities!! 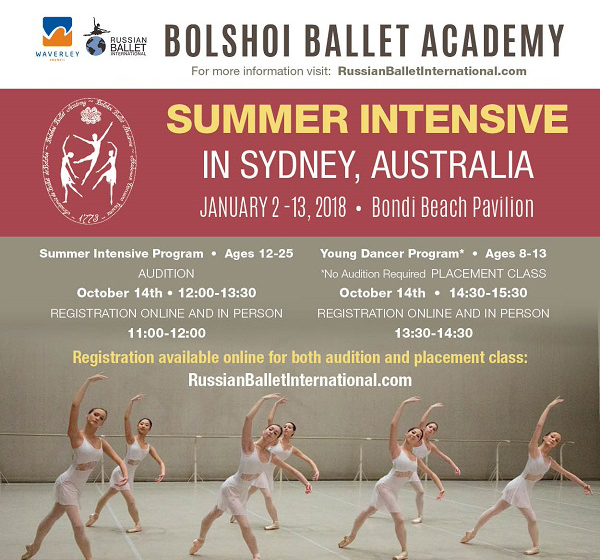 The Waverley Council and Russian Ballet International are collaborating to bring the Bolshoi Ballet Academy Summer Intensive to Bondi Beach in Sydney, Australia. The workshop will take place from January 2-13, 2018, at the beautiful seaside studios hosted by the Waverley Council for this special workshop. A spectacular setting for intensive dancing, the happy and exhausted students will be able to spill out onto the shores of Bondi at the end of their dancing day. For the first time, Australian dancers will work with current Bolshoi master teachers and faculty from the Academy in Moscow. The classes will include ballet technique, pointe, variations, and character. This rare opportunity will bring today’s unique Russian training in the cultural tradition of classical ballet to Bondi, from one of its oldest and most storied institutions. Founded in 1773, the Bolshoi is a world-renown leader in classical ballet. Book now for an exceptional Summer School – not to be missed. Senior Summer school is 5 days of intensive dance fun for ages 10+ to pre-professional. Guest include Direct for New York – David Palmer – Artistic Director of Rochester City Ballet and Sophie Holloway Radio City Rockette. Australia own Jason Winters will be joining our amazing line up of teachers. Junior Summer School is 3 days of fun dance classes and costume craft classes for 3-10 year olds. RAD brings you an intensive open dance programme to start the dance year full of energy and inspiration! Whether you are in the far south or far north we have two fantastic open dance programmes for you to consider. 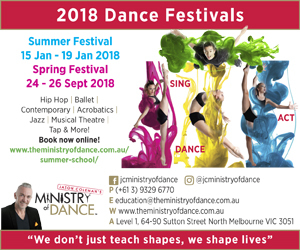 DANCE 18 in Adelaide has daily classes over five days delivered by six leading dance professionals in multiple genres. Ballet, contemporary, tap, hip hop, jazz, pilates and repertoire are all on offer. Dancers aged 7+ from all genres and methods of training welcome. DANCE 18 in the tropics! is a three day high energy programme in Cairns with classes in ballet, tap, contemporary and jazz for ages 8 - adult. Students welcome upwards from Grade 4.
International Ballet Workshops brings elite ballet teachers to Australia and New Zealand, for workshop tours during the January and July school holidays. Besides providing world-class training and expertise, our guest teachers are also required to bring international opportunities for exceptional students. At the last series, principal ballerina awarded 24 scholarships to the USA! 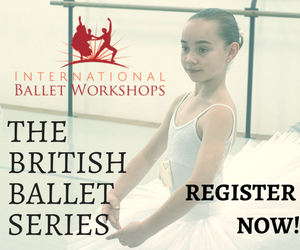 Registrations for the IBW Summer 2018 "British Ballet" Series are now open. Places are strictly limited and some classes are already sold out! This year's guest teacher is Ken Ludden, Director of the Margot Fonteyn Academy of Ballet (New York). Mr. Ken Ludden will be selecting dancers to participate in the Australian premiere of his new ballet, Né: Roi in 2019. He will also be offering spots in a series of choreographic development workshops leading up to the premiere. On top of this, Mr. Ludden will also provide, for selected students, letters of recommendation to top international schools, and invitations to the Eventus Riga Spring Choreographic Concours, where he is a Juror. Class numbers are strictly capped to ensure everyone has the best experience! Book your ticket today! Brisbane Contemporary Dance Intensive (BCDI) is Queensland’s most highly regarded short training course for contemporary dance. Offered annually in both Summer and Winter, this intensive offers three programs for ages 12 through to 17+. BCDI allows participants the opportunity to learn with EDC’s award-winning dancers, alongside a handpicked selection of industry renowned guest artists. Throughout the program, students will refine their technique, develop their performance skills through exploring EDC repertoire and deepen their ability to create unique and engaging dance. Additionally, the teaching team will offer their personal insights through sessions discussing physical fitness, nutrition, audition processes, career pathways and more. BCDI offers a holistic dance experience giving the participant insight into the world of a professional dancer. Apply now to secure your position.